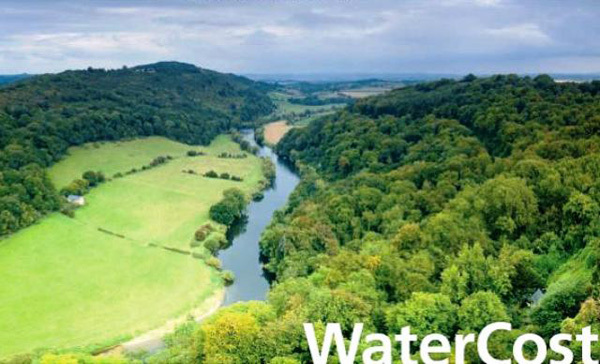 The aim of the project was to help to provide Water Framework Directive "competent authorities" with cost-effective and sustainable measures for the management of groundwater quality, in the context of river basin management plans. The WaterCost project aimed to provide guidance on how to obtain an integrated and environmentally sustainable approach to groundwater protection and management. In overall, the project aimed to help to deliver cleaner groundwater in regions around the North Sea and protection of the groundwater from future pollution - preventing the groundwater from becoming polluted in the first place. The main achievement of the WaterCost project was the delivered framework for cost-effectiveness analysis (CEA) and the framework to assess the cost effectiveness and include wider impacts for various measures for groundwater protection. 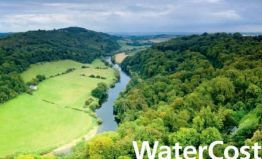 Furthermore, the WaterCost handbook presents four case studies showing in particular how CEA have been applied in partner regions, identified strength and weaknesses with the methods. The specific aim has been to assess the cost effectiveness of measures to reduce the nitrate concentration in groundwater. This has been achieved through the pilot activities and the learning has been passed on through the booklet. WaterCost approach was to involve and encourage relevant stakeholders and informal partners, and especially provide them with an opportunity to provide input and comments to the results. Furthermore, it has been very rewarding to work together with the stakeholders on specific individual projects with a common objective. In that way the stakeholders became directly involved in the project and that increased their engagement and ownership of the project results tremendously. The experts involved were economists, landscapers, water experts, waterworks, etc. Moreover, the project also addressed public authorities vertically - informing and/ or involving authorities from local, regional, national to EU level. A tangible outcome of this project has been the political agreement, which was reached on implementation in Drenthe in the steering committee (cooperation between authorities) of the Hunze project. Ongoing minor discussions are on the issue of financing the project. The political commitment has been reached due to the Cost Effective Analysis and the derived financial discussions. Also in the other partner regions the CEA has helped to focus the political discussions and will be a great tool for achieving political agreement. The results of the project, represented by the booklet WaterCost: Elements of Cost-Effectiveness Analysis method and case studies have been presented to DG Environment and provided valuable input for the drafting guidelines for Member States on Land Use and Groundwater developed during spring 2008 by the Commission. In connection with this, the project had been invited to provide a presentation of the results, especially related to CEA and valuation of measures, on the Commissions (DG Environment) 14th Working Group C Plenary Meeting in Ljubjlana on 22nd April 2008. At this plenary meeting there were representatives from the Commission and from the Member States. The booklet was distributed to all participants. Furthermore, there will be dissemination within the partner organisations; e.g. within the Environment Agency and DEFRA.